Outdoor dog gear that will keep your pooch cool and comfortable on your summer adventures. Get ready for long summer days outdoors with gear that will keep both you and your canine companion comfortable, cool and content on all your warm-weather adventures. Here are our favorite innovative outdoor essentials for dogs. QUMY Dog Sunglasses ($8 at amazon.com). 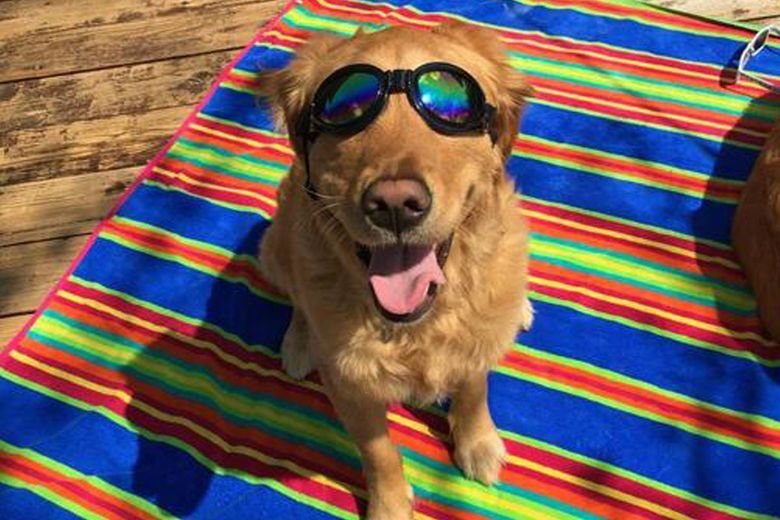 To protect your pup’s peepers from UV rays, wind and debris while hiking, get him his own cool shades. These shatterproof, waterproof, mirrored sunglasses for dogs over 15 pounds fit around the head like goggles. Anti-fog lenses are available for unpredictable Seattle weather. Model Citizen Woofie ($9.50 at modelcitizenpet.com). 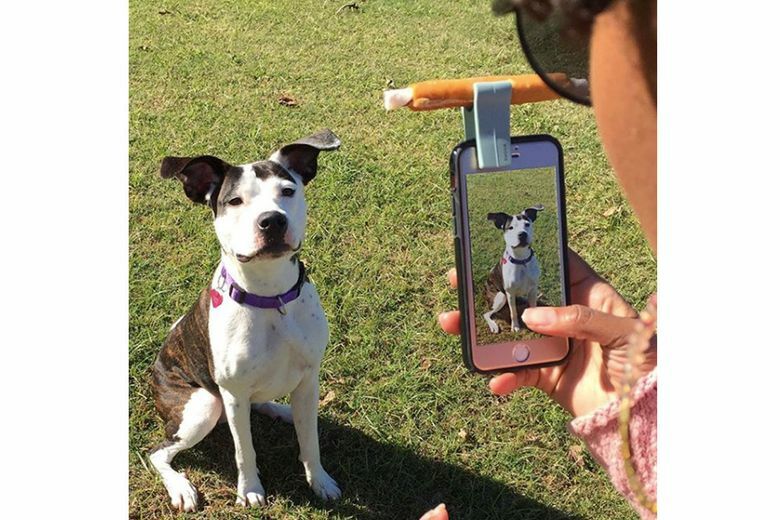 Capture the perfect summer selfie with your pooch with this ingenious little gadget that connects to your phone or tablet to hold a treat in place so Fido looks right at the camera. 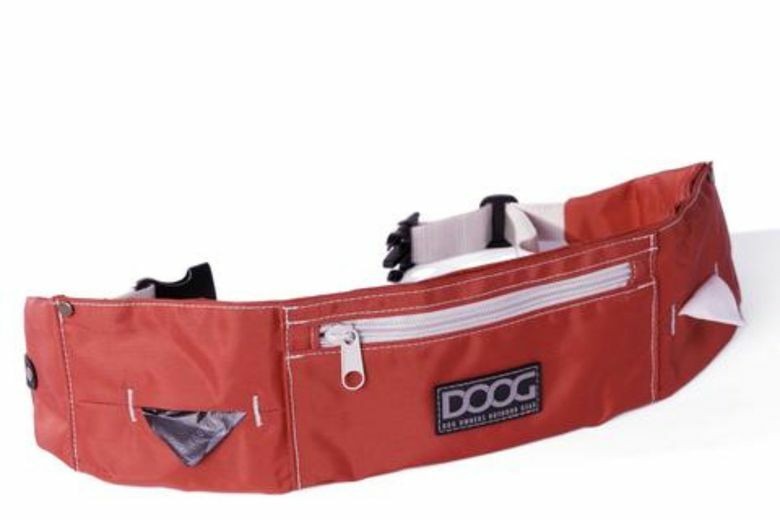 DOOG Walkie Running Belt ($20 at All the Best Pet Care). This belt for humans is worn around your hips like a fanny pack, and has two strong carabiners that hold a leash so you can run with your dog, hands-free. Available in many colors and prints with pockets sized for your cellphone and treats. Tom Bihn Bungee Dog Leash ($25 at Tom Bihn, Industrial District, and tombihn.com). Designed in Seattle, this springy leash has elastic inside to give your dog more freedom — and absorb the shock when he lunges at a squirrel. It’s just right for running with your canine exercise buddy, and the wrist loop floats, since you never know where your adventures will take you. 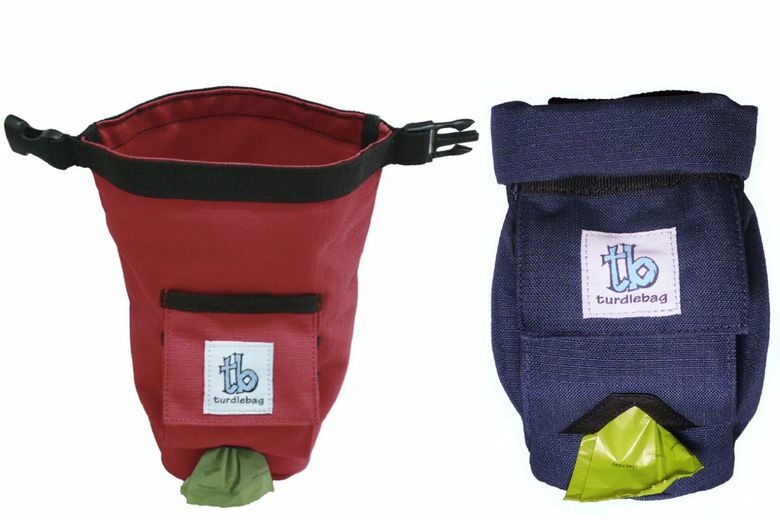 Turdlebag Dog Poop Bag Carrier ($20 at turdlebag.com). 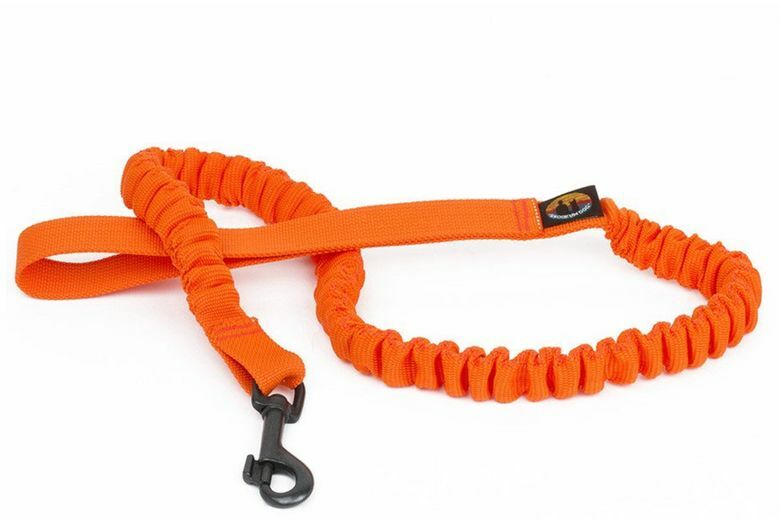 Small and sturdy, but “big enough for a mastiff,” the odor-reducing Turdlebag attaches to a leash, harness or pack to safely contain poop bags until you can get to a garbage can. Daily walks and long hikes just got a lot more pleasant.